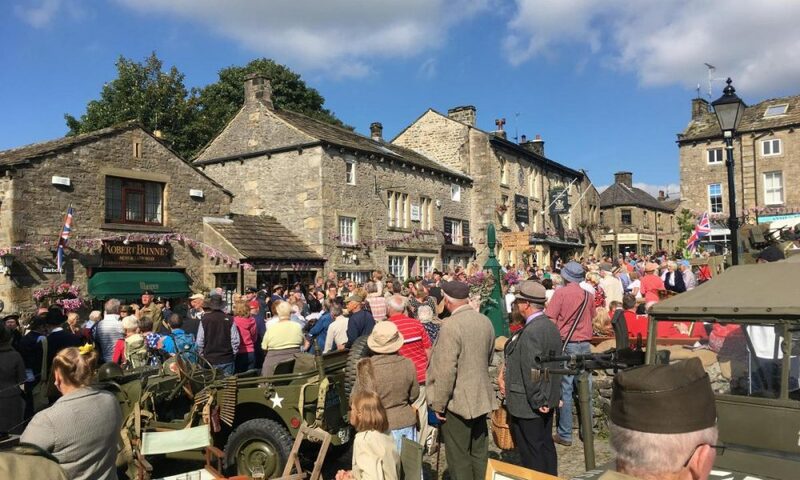 Grassington annually hosts an extremely popular 1940’s weekend. Live music of Swing and Lindy Hop enhances the mood as vintage vehicles, re-enactments and war games keep all generations enthralled on this truly magnificent weekend. The Grassington 1940’s Weekend has an excellent website www.grassington1940sweekend.co.uk with up to the minute bookings and further information about the weekend. Please don’t be disappointed – this weekend is very popular so an early booking at the Devonshire Grassington is highly recommended. Click here to book you accommodation for the weekend.